How secure is your information? Small businesses often control very sensitive information, from payroll and accounts to the contact information and credit card numbers of customers – and few have the dedicated IT team to maintain a fully secure network. With a little work and a few long weekends, small businesses can create a workable security policy, able to withstand the most common threats to information security in the office. Expensive software suites and large tech teams are not the only way to achieve peace of mind. This quick guide will help you get started. Every piece of technology introduces potential access to your information. Every piece of software has holes and vulnerabilities that require periodic patches and updates. Every person in your business, every email on your servers, every cellphone charged through USB – all of these are access points and require controls to prevent against the accidental loss or theft of information. Make note of each workstation (desktop or laptop), every piece of software installed on these devices, and try to anticipate which types of mobile devices (cellphones, tablets) that might connect to your network through USB or wireless. This includes flash drives and other storage devices. All of this information will come in handy once you begin picking out virus scanners, firewalls, and other security measures. You’ll have to make a list of all this information while setting up your scanners and update managers anyways, so might as well start from the bottom up. Choose solutions that fit your business size with the possibility of scaling up later. Information security starts with informed employees. Anybody accessing your network should know the basic risks and necessary precautions. Small businesses are common targets of simple phishing schemes utilizing everyday game and news websites. Some of them are convincing – especially the handcrafted emailed or phoned-in frauds by people pretending to be vendors, banks, or future clients. Establish an information access policy. Restrict access on a need-to-know basis. It is important to keep records of usage patterns in order to detect abnormal activity from malicious software or unauthorized access. A thorough access policy will also ensure that you will be able to locate important information if any of your hard drives or servers experiences unexpected data loss. Establish a policy for regular and thorough updates for network operating systems, software, virus scanners, and firewalls. Updates patch up security flaws while fixing bugs in the programming. Hackers specifically target outdated systems and software suites and a thorough update policy is the only way to avoid these risks. The good news is that you can set up an automated remote system to update all of your computers at once – click here for Batch Patch to learn more about the best update management solution on the web. Make sure to collect feedback about the security policy you enact. Create a list of new software errors, complaints about procedures, etc. Because your employees are the first line of defense against the infiltration of viruses and other malware, their needs and productivity are very important to the efficiency of your security policy. Make updates to the network usage policy as needed. 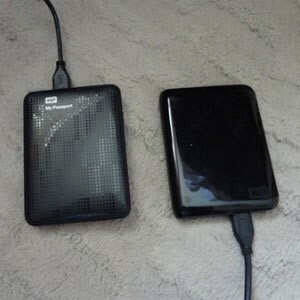 Don’t forget to conduct regular off-site backups of your valuable data! There is no such thing as a perfectly safe and secure computer network. Even the biggest, most careful corporations face infiltrations from time to time – sometimes due to something as simple as user error. Even if you disregard the threat of viruses and hackers, there is still the issue of hardware (or hard drive) malfunctions to worry about. Data backups are well worth the investment. Small businesses can obtain affordable information security in a variety of ways. You can take advantage of online reading materials and software programs to create your own solutions; the majority of security software suites have plenty of documentation to help you. Or you can contact a security consultant to show you how. Your data is very valuable! Small businesses face the same threats as big businesses when it comes to viruses, malware, and hackers – your employees and your customers depend on your data security practices. Don’t let the prices quoted by the big IT firms throw you off; there are plenty of ways to improve computer security without hiring a team or breaking the bank. Every step toward better security is a step in the right direction. Why wait?